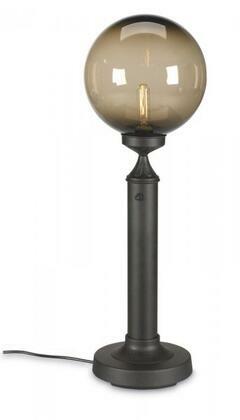 This outdoor lamp has a weighted base. Unbreakable polycarbonate waterproof light bulb enclosure. This table lamp look so nice on my patio. I love that it has an unbreakable light bulb enclosure. I usually drop my lamps on the floor and the bulb enclsoures breaks but not with this lamp. I love it!